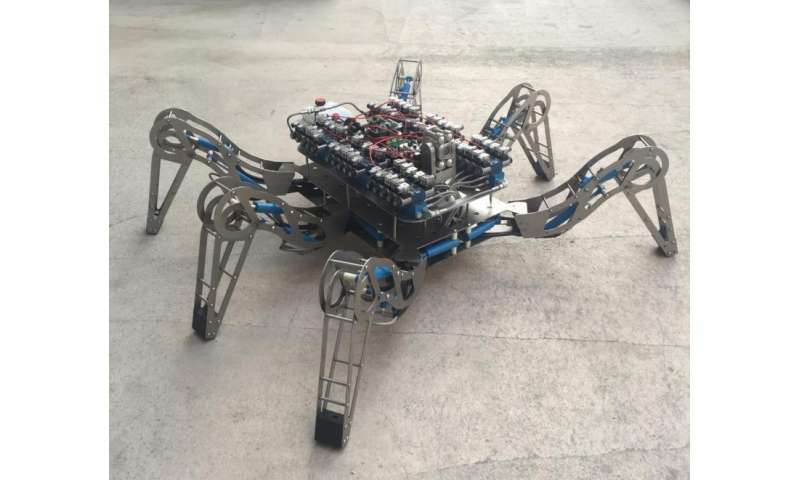 The University of Manchester is to lead a consortium to build the next generation of robots that are more durable and perceptive for use in nuclear sites. The cost of cleaning up the UK's existing nuclear facilities has been estimated to be between £95 billion and £219 billion over the next 120 years or so. The harsh conditions within these facilities means that human access is highly restricted and much of the work will need to be completed by robots. Present robotics technology is simply not capable of completing many of the tasks that will be required. Whilst robotic systems have proven to be of great benefit at Fukushima Daiichi NPP, their limitations, which include relatively straightforward tasks such as turning valves, navigating staircases and moving over rough terrain, have also been highlighted. The new group comprising Manchester, the University of Birmingham, University of the West of England (UWE) and industrial partners Sellafield Ltd, EdF Energy, UKAEA and NuGen has been funded with £4.6m from The Engineering and Physical Sciences Research Council. It will develop robots which have improved, power, sensing, communications and processing power. They will also develop systems which are able to address issues around grasping and manipulation, computer vision and perception. Importantly the robots will be autonomous – able to operate without direct supervision by humans. The University of Manchester's Professor Barry Lennox, who is leading this project, said: "This programme of work will enable us to fundamentally improve RAS capabilities, allowing technologies to be reliably deployed in to harsh environments, keeping humans away from the dangers of radiation." Within the next five years, the researchers will produce prototype robots which will then be trialled in both active and inactive environments. It is anticipated that these trials will include using robotic manipulators to autonomously sort and segregate waste materials and to use multiple robots, working collaboratively, to characterise facilities that may not have been accessed for 40 years or more. The technology will not only have potential for improving robots used at nuclear sites, but also in other hostile environments such as space, sub-sea, and mining. Or in situations such as bomb-disposal and healthcare which are dangerous or difficult for humans. The University of Manchester has already developed small submersible and ground-based vehicles that can be deployed to survey nuclear facilities, which will be used in this project, allied with the skills and knowledge of the other partners. Professor Lennox added: "If we are to be realistic about clearing up contaminated sites, then we have to invest in this type of technology. These environments are some of the most extreme that exist, so the benefits of developing this technology can also apply to a wide range of other scenarios." Well, well, it is now time we started paying for this Faustian Bargain. We will now see how "cheap" it was to build these radioactive monsters, and we will find more liabilities of that terrible error. Don't just rage-vote then run away, "Ira". Have the guts to debate the issue. What effect do you think the $190,000,000,000 cost estimate to "clean up" Fukushima will do to their energy budget? What effect will it have on building a clean generation system? Is there ANY chance Japan can really survive this massive insult and ecological disaster?? ecological disaster is the diffusion of intermittent renewables: ruination of natural landscapes, disruption of wildlife habitats, massacre of millions of birds and other endangered species, at cost of trillions dollars without meaningful CO2 reduction. The Fukushima Daiichi nuclear incident has no confirmed casualties from radiation exposure. "Fukushima fearmongers: It's YOUR FAULT Japan DUMPED CO2 targets"